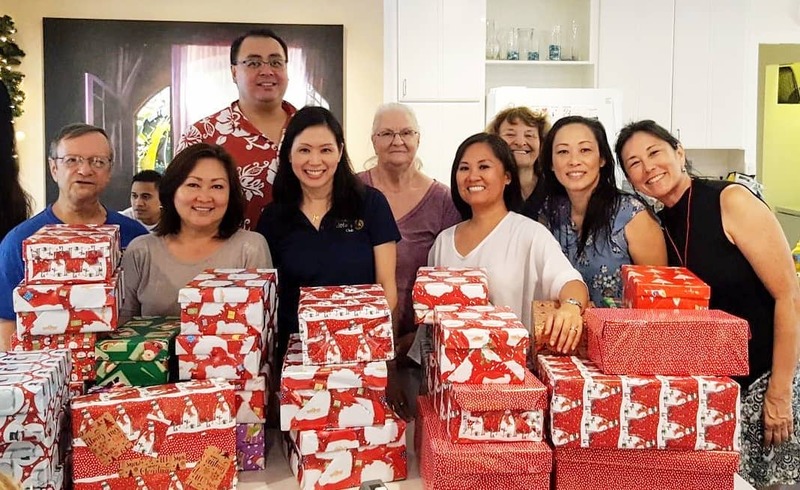 On November 3rd and November 10th, about 40 rotarians, Chaminade Rotaractors, and AXA Financial employees brought their Christmas spirit to member Janice Kim's home to wrap almost 300 shoeboxes for students at Palolo Elementary School. 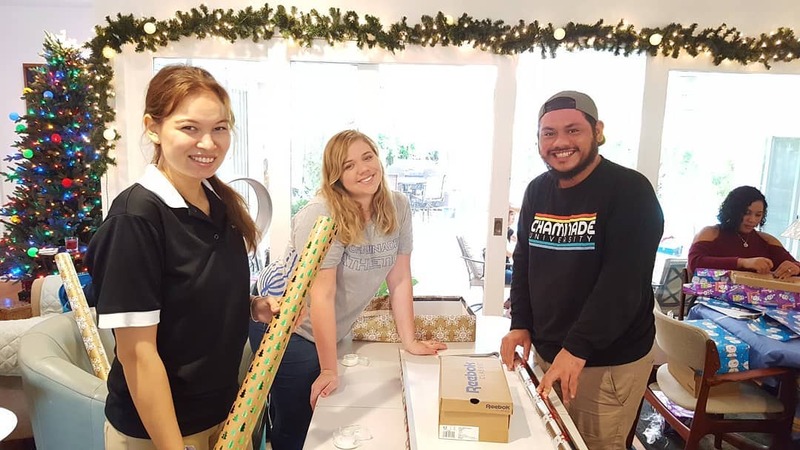 Next month, we will fill these wrapped shoeboxes with surprises and every student at Palolo Elementary School will receive a gift. 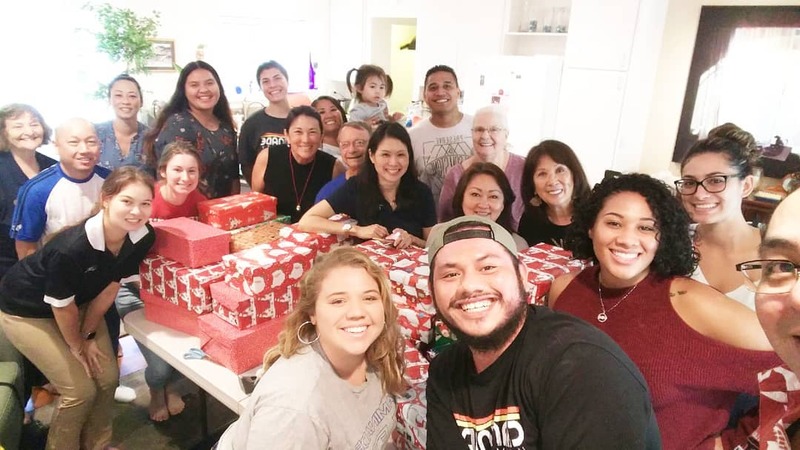 Huge Mahalo to AXA Financial Services for their generous $2,000 donation that is making this project possible and for wrapping shoeboxes last week Saturday. 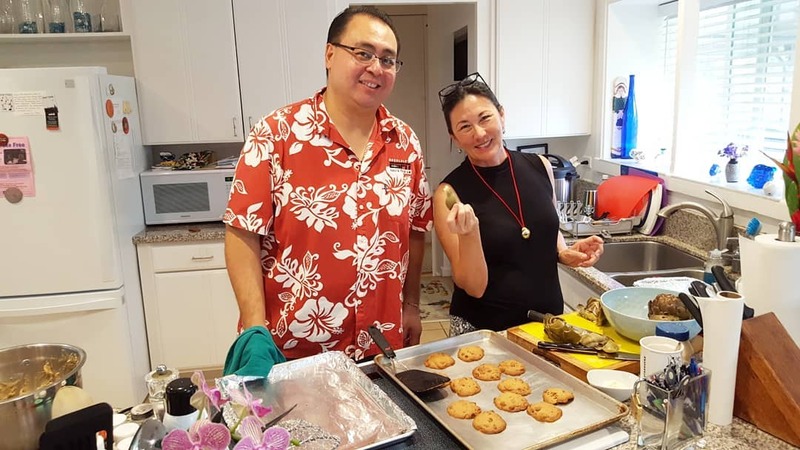 Wrapping boxes, dancing to Christmas music, and eating delicious food made by Janice Kim and John Strandberg was the perfect way to kick off the holiday season. 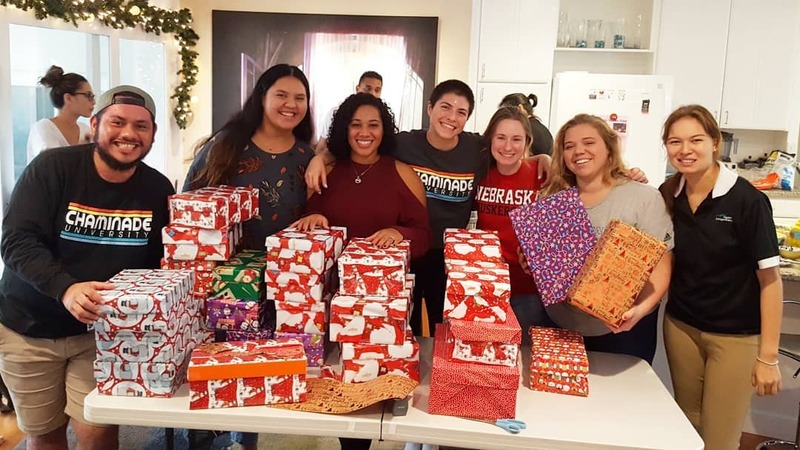 We will be "stuffing" the shoeboxes in the afternoon of December 20th and presenting the presents on the morning of December 21st. Please let Ashli Sasano know if you are interested in attending one of both of these days. 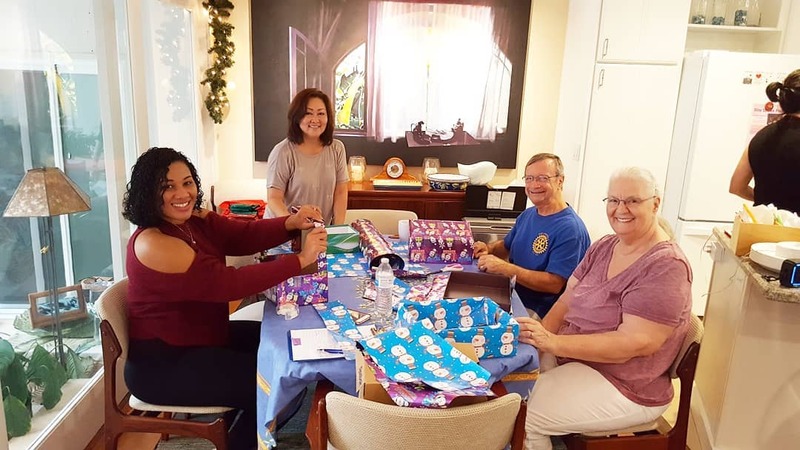 Thank you to ALL of the volunteers who came out early on a Saturday morning to spread Christmas cheer to students in need. We are SO grateful to each and every one of you!